Crikey, what a summer it’s already shaping up to be. We’ve got brand new club Hï to get to grips with, Carl Cox has confirmed he’ll be back, albeit on a different stage, and promoters are hopping from venue to venue like there’s no tomorrow. Consequently, we’ve got one of the hottest summers in years on the horizon, and we’re counting down the days till it all fully kicks off. So, what’s been happening since our last roundup of news? For starters, Pacha has confirmed it’ll be sticking to pretty much the same line-up for 2017, because frankly, if it ain’t broke don’t fix it. 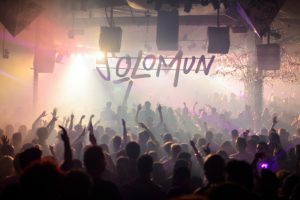 That means Solomun will slide into the Sunday slot for the fifth year on the bounce; David Guetta resumes his position as island king on Thursdays; Maceo Plex is back with Mosaic on Tuesdays; Flower Power swings into action on Mondays; Martin Solveig throws his own kind of house party on Wednesdays, and Bob Sinclar salutes the weekend with his Paris-themed fiesta on Saturdays. The only night that’s still unconfirmed is Friday, so perhaps they’ve got something up their sleeves for everyone’s favourite night of the week. Over in Playa d’en Bossa, Martin Garrix has revealed he’s signed up for not one, but two residencies this season. The first is at Ushuaïa on Thursday nights; the second is over the road at Hï on Mondays. The services of South African superstar, Black Coffee, have also been secured by the new club on the block, adding a much needed dose of underground grit to its much-anticipated line-up. He’ll storm into action on 3 June and every Saturday thereafter for the duration of the season. 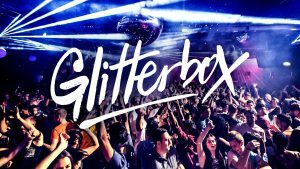 Disco favourite, Glitterbox, retains the Friday night fun spot it held at Space, and a whole host of top names have been confirmed for what’s sure to be one of the biggest opening parties of the summer, when the club opens its doors for the first time in 2017. Luciano, Nic Fanciulli, Joris Voorn, Andrea Oliva, David Squillace, Kölsch, Matthias Tanzmann, Bas Ibellini and Djebali are the names you need to know, and Sunday 28 May is the date you need to mark firmly in your diary. Back to Ushuaïa, and aside from Martin Garrix, the open-air club has announced the grand return of its most popular underground party, ANTS, on Saturdays. The madness kicks off on Saturday 3 June, continuing till 30 September. The big don of Bossa has also revealed a typically massive list of names for its opening party on Saturday 27 May. Heading the bill is Paul Kalkbrenner, who’ll be debuting his Back to the Future concept. He’ll later be joined by Andrea Oliva, Steve Lawler, David Squillace, Martin Buttrich, UNER, Eats Everything, Francisco Allendes and Raúl Rodriguez. Tidy. The big news over at Amnesia is that Together will be back on Tuesdays, with the onslaught of beats and bass coming courtesy of residents Chase & Status, Rudimental, MK, Gorgon City, Andy C, Disciples, Duke Dumont and Sigma. Cream have also secured the return of big guns including Paul van Dyk and Fatboy Slim as their Thursday night mainstays. Unsurprisingly, Marco Carola has confirmed he’ll be back on Friday nights too, with a total of 21 Music On dates to battle with this season. In other news, Ibiza Rocks have bagged themselves one of the coups of the summer by enlisting the help of the elrow crew to throw two inflatable-heavy pool parties at the San An venue. Catch those in full flow on Tuesday 8 and 22 August. Pukka Up will roll into town with a Tropical Wonderland residency at Eden, every Saturday. Privilege will fire up its engines for the first time on Thursday 25 May; Disclosure will host four very special Wild Life events at DC-10 in July and August, and techno god, Sven Väth, will open the doors at Heart in Marina Botafoch for the third consecutive year on Friday 26 May. We recommend queueing now for that one.